Get set, ready, steady, go! As Goa becomes the next destination for superbikes, the boys here are having a blast with their toys! And of what a variety! From flashy green Ninjas, and swanky Harleys, to the macho Triumph, the crazy fast Hondas or even the very Indian bike – Royal Enfield, you can see various bikes either racing or cruising the streets of Goa. With most biking festivals choosing Goa as their favourite place to host their events, the superbike trend was bound to pick up. 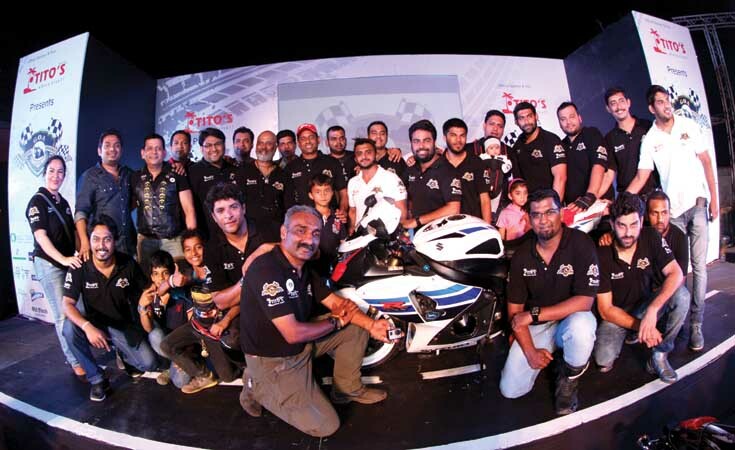 Youngsters in Goa have been gravitating towards the superbike scene especially in the last five years with more superbikes gracing the roads. Besides youngsters there are a lot of other age groups still wanting to fulfill their passion and first love, i.e. bikes. Earlier bikers would import their bikes from other places as there was no company which had a base in Goa, but today with almost every bike company making Goa their base, no one has to go that extra mile to buy a bike… And here’s where the Goa Superbikers Club comes in, where they play a key role in changing the Goan biking scene. Incepted in the year 2009, Goa Superbikers was founded by Sarvesh Parulekar, Azeem Shaikh, Sanjay Kandolkar, Raees Khan, Ershad Khan, Sameer Shaikh and Sarfaraz Shaikh. The club has been high on promoting Road Safety and supporting NGO’s. The club has experienced riders and have regular weekend rides penned on their calendars. Apart from this they also have one big ride in a month. 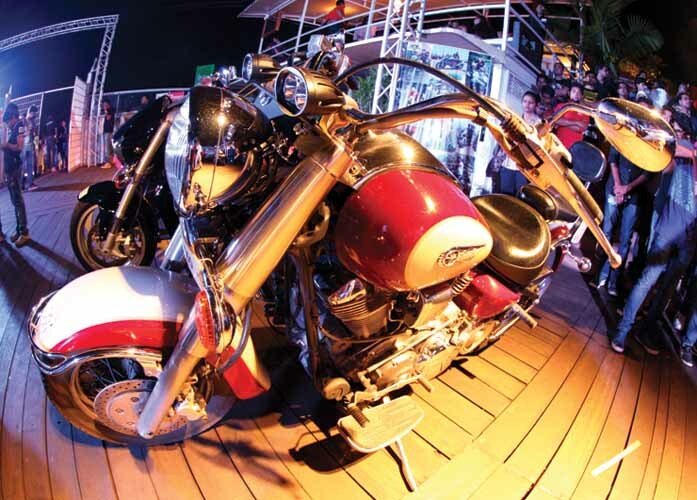 Recently, the Goa Superbikers in collaboration with Tito’s hosted the India Bike Week after party, for which the who’s who of Goa made their presence felt. Known names from the motorcycle industry were present too like Dr. Arun Thareja, founder of Group of Delhi Superbikers, Ikjot Singh Bhasin, founder of Bike Festival of India, Raees Khan, one of the founders of Goa Superbikers, Sumit Wadhwan, founder of Dark and Anish Chauhan, founder of Bikers Brotherhood Club, Jay Kannaiyan and Kedarnath, both world travellers. Each of these bikers was honoured with a memento from the club on the occasion. The speed bug has no doubt bitten everyone, both young and old… And we do hope it continues to stay in Goa!